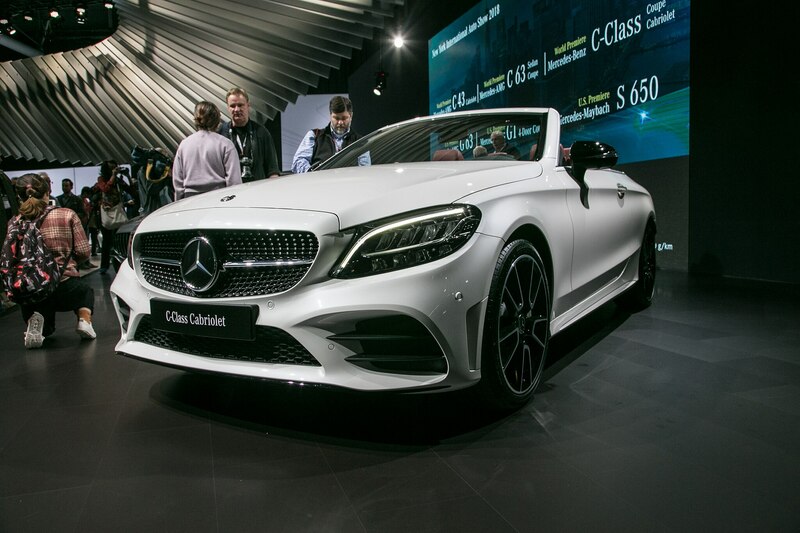 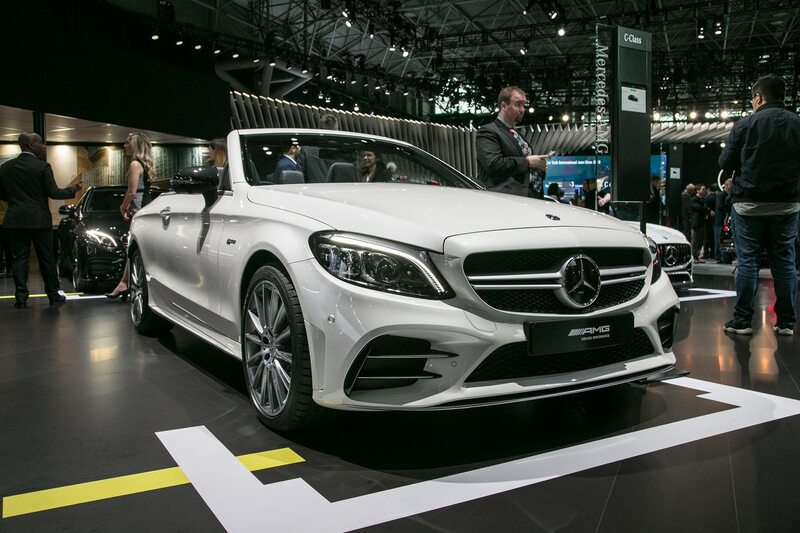 UPDATE: After its initial reveal on March 20, the 2019 Mercedes-AMG C43 Cabriolet made its public debut at the 2018 New York auto show. 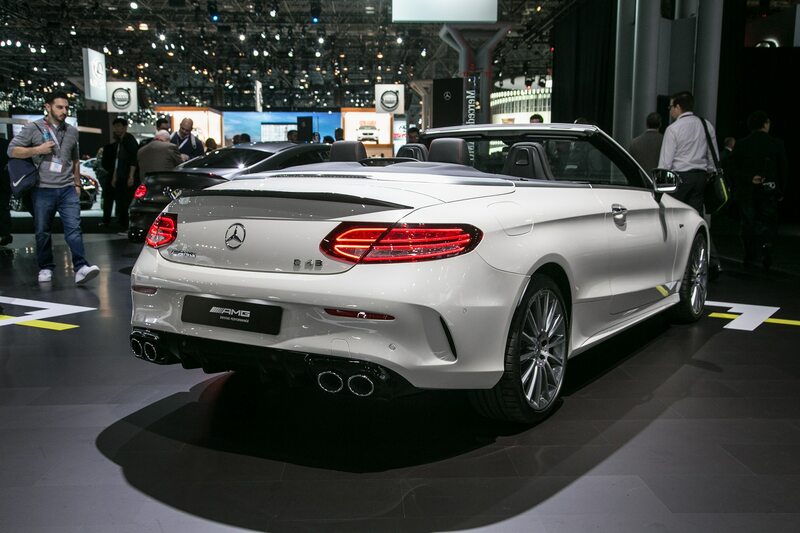 Following the recent refresh of the entry-level C43 Sedan in Geneva earlier this month, the 2019 Mercedes-AMG C43 Coupe and Cabriolet are ready to roll for the 2018 New York Auto Show. 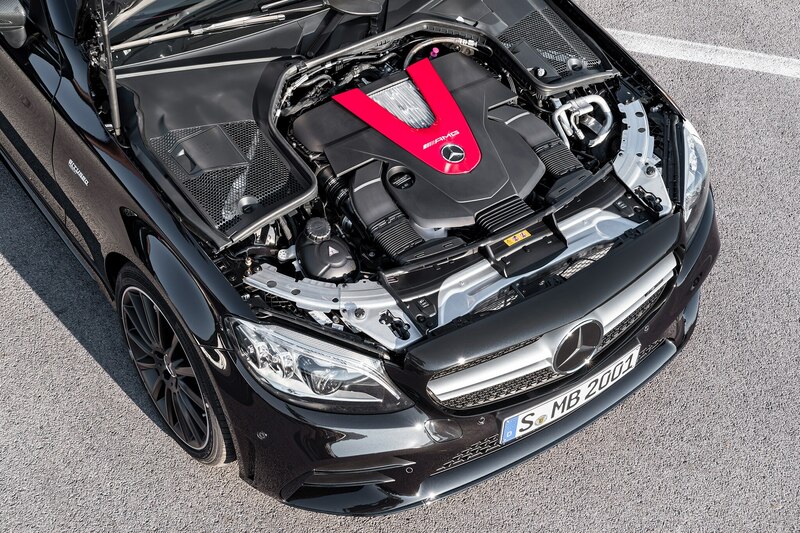 Under the hood, both variants are powered by a 3.0-liter twin-turbo V-6 engine that now makes 385 hp (up 23 hp) and 384 lb-ft of torque. 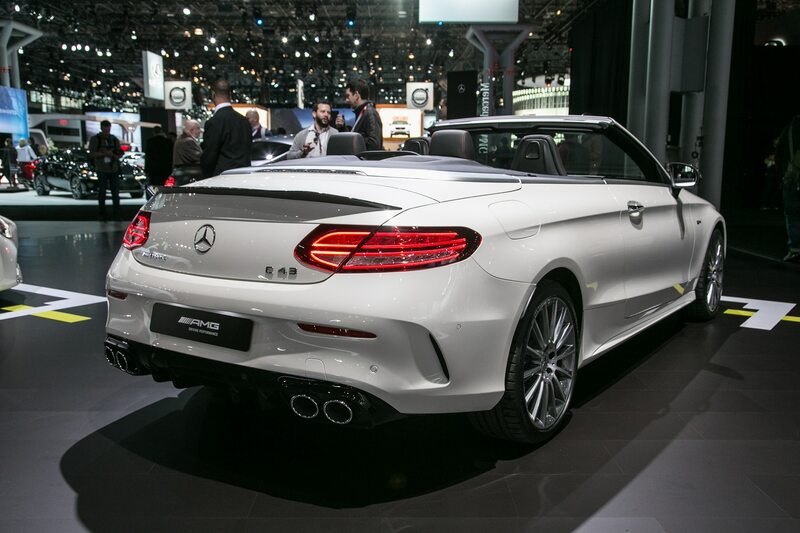 The V-6 is mated to a 9-speed automatic transmission with 4Matic all-wheel drive. 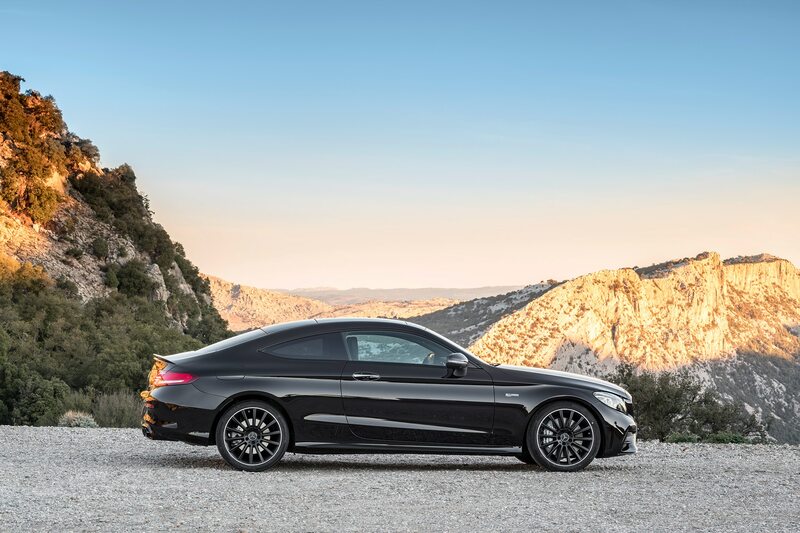 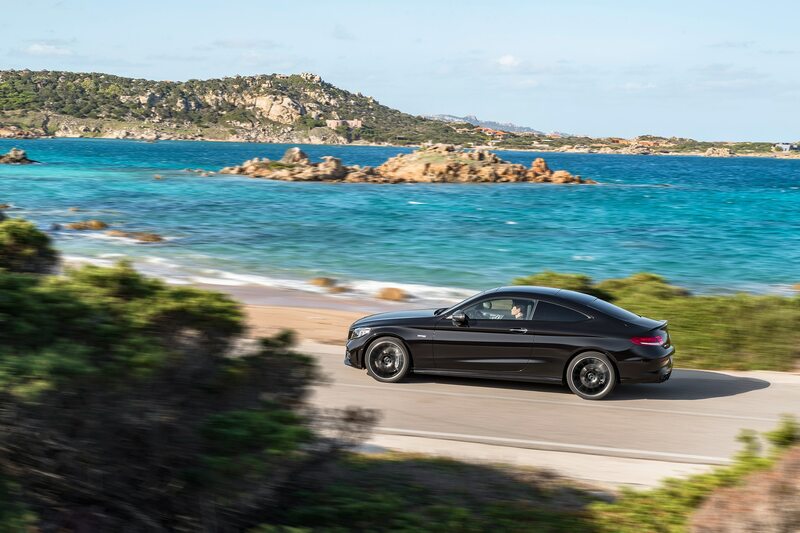 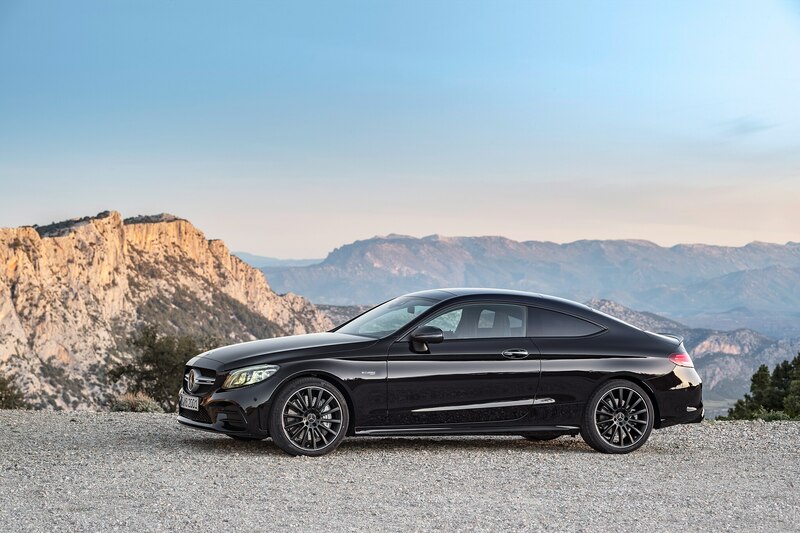 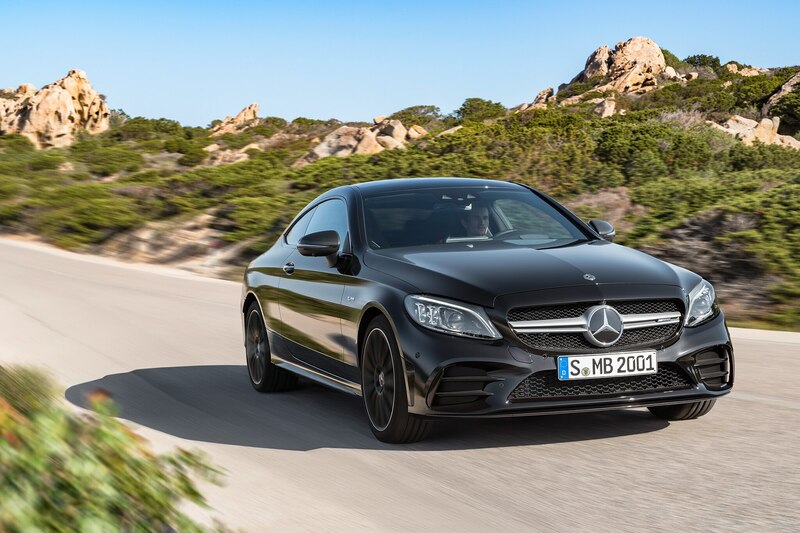 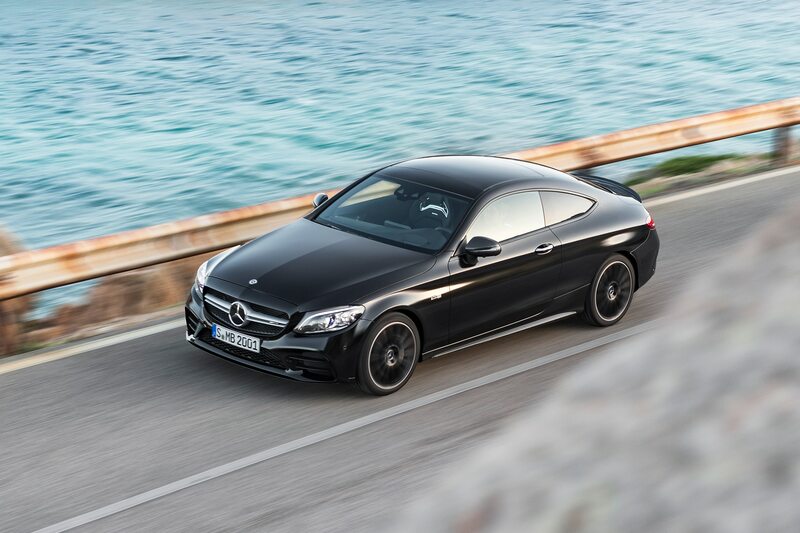 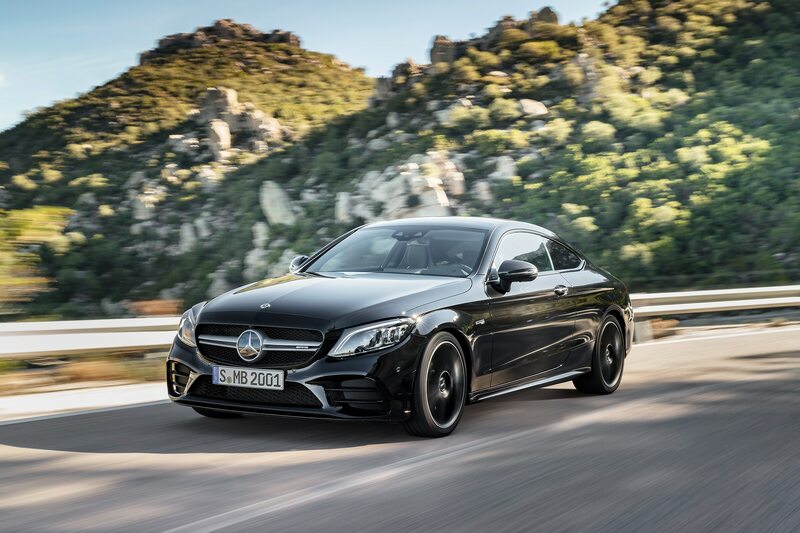 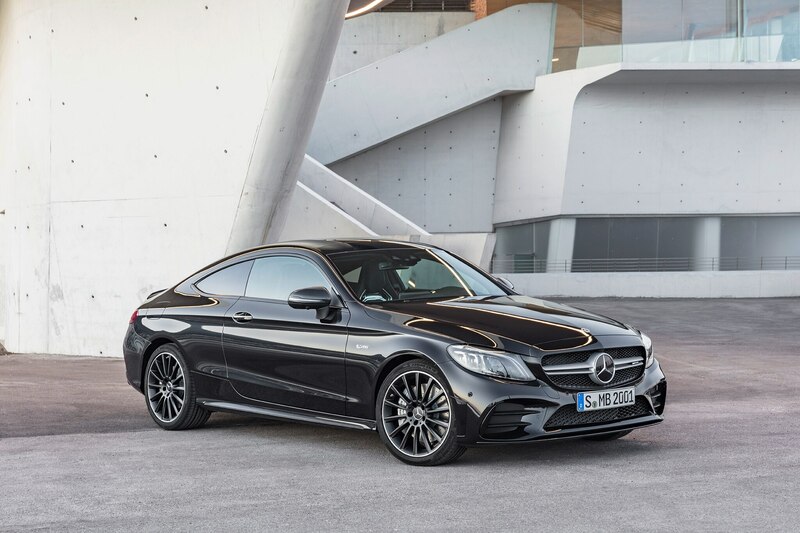 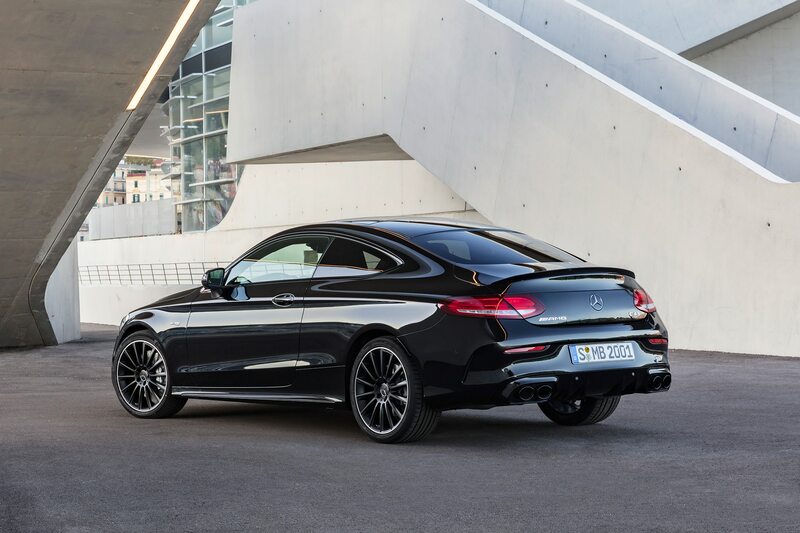 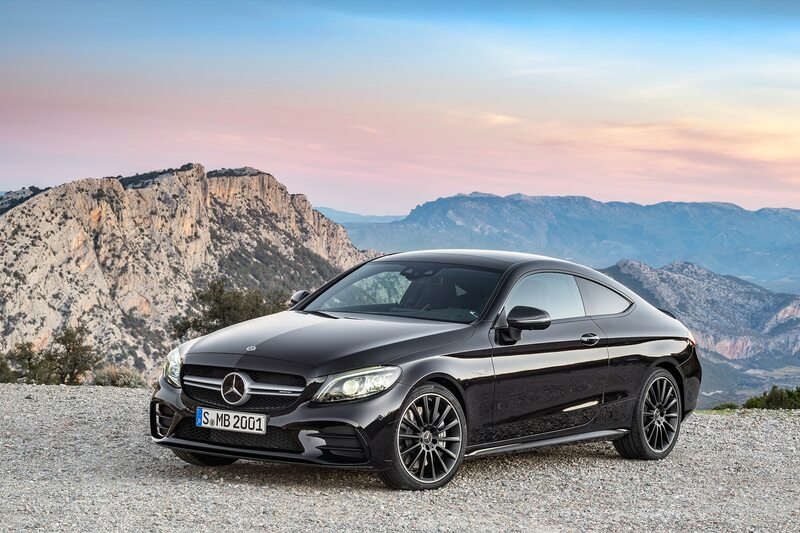 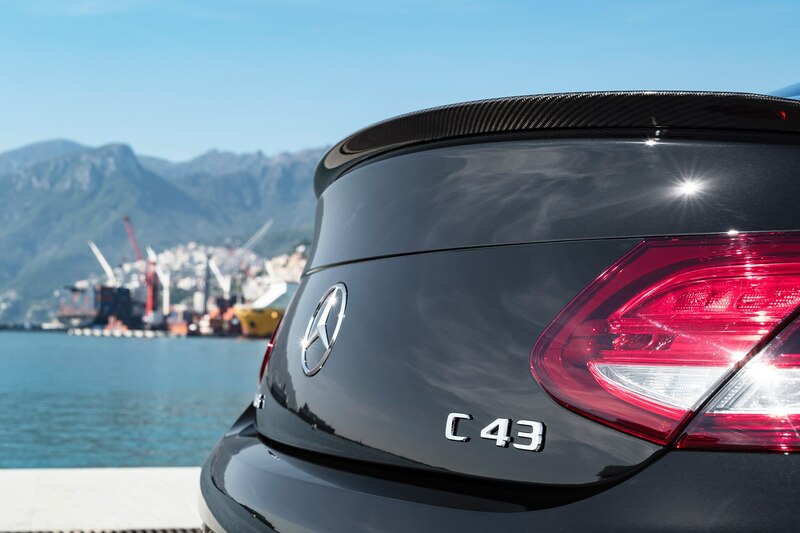 AMG claims the new C43 Coupe has an estimated 0-60 mph time of 4.5 seconds, while the Cabriolet makes it in a close second place at 4.6 seconds. 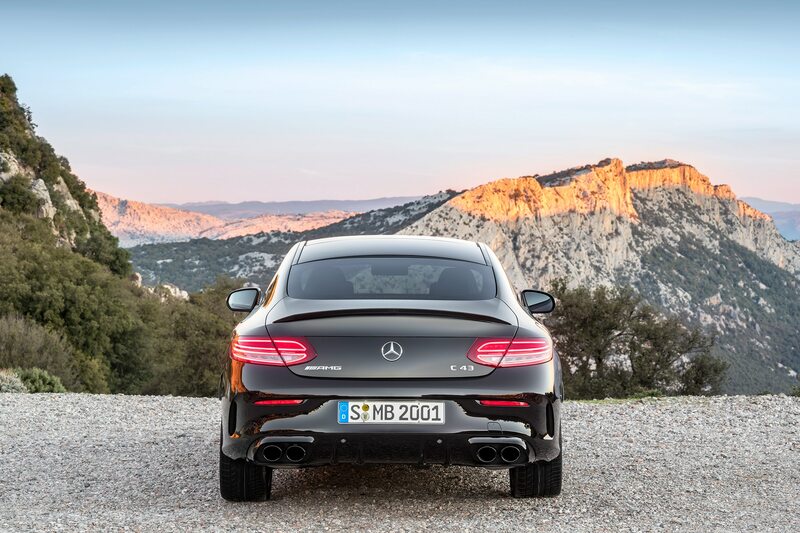 Both cars have a limited top speed of 130 mph. 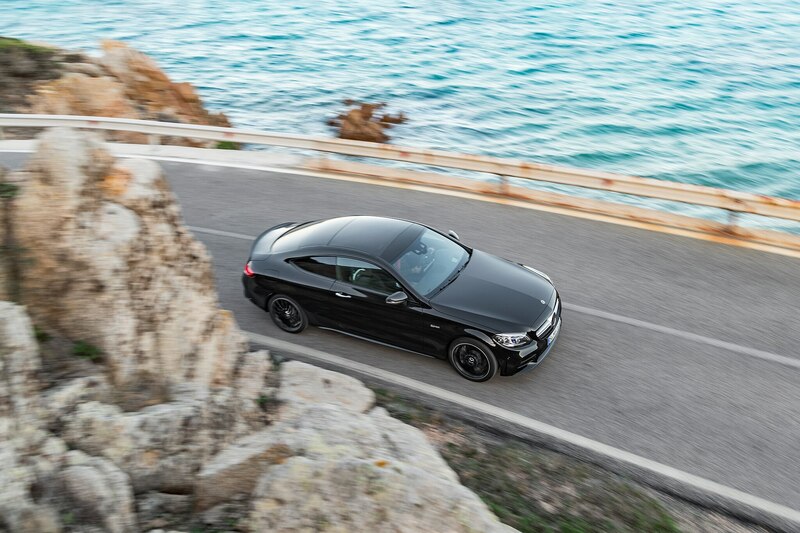 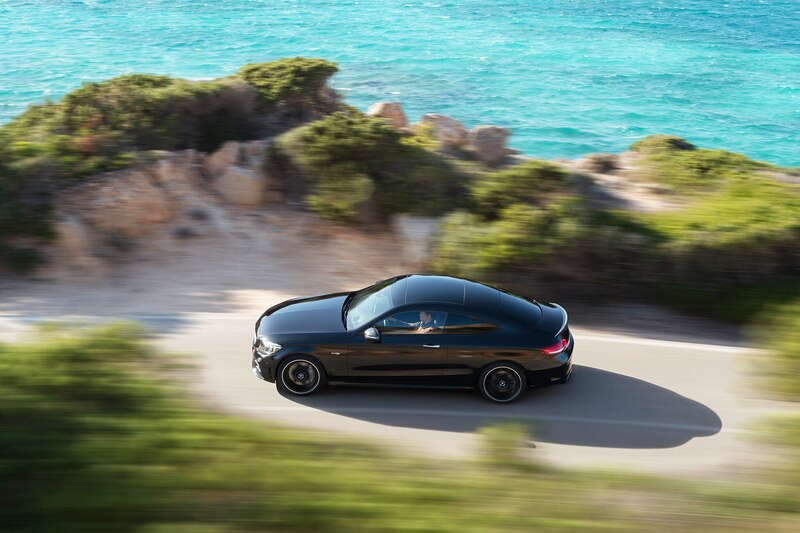 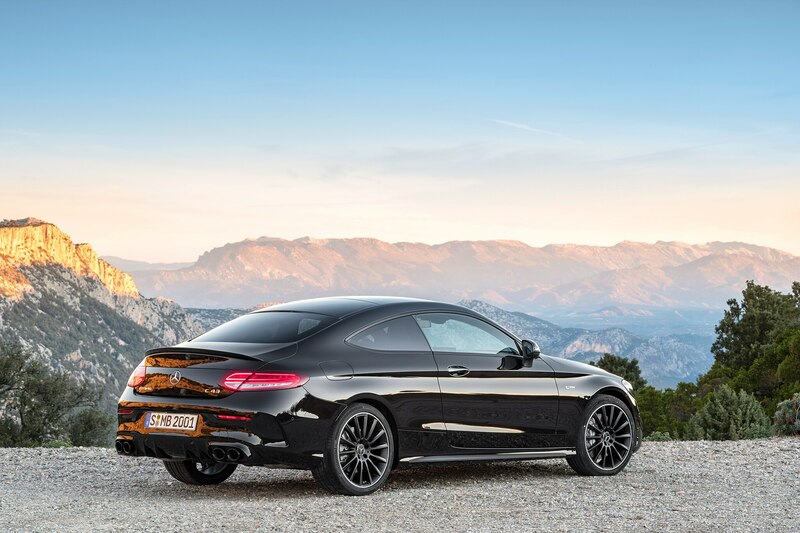 “With the new C43 Coupe and Cabriolet, we offer our customers extensively upgraded, visually, and technically distinctive entry-level options into the performance world of Mercedes-AMG,” said Tobias Moers, Mercedes-AMG chairman of the board, in a statement. 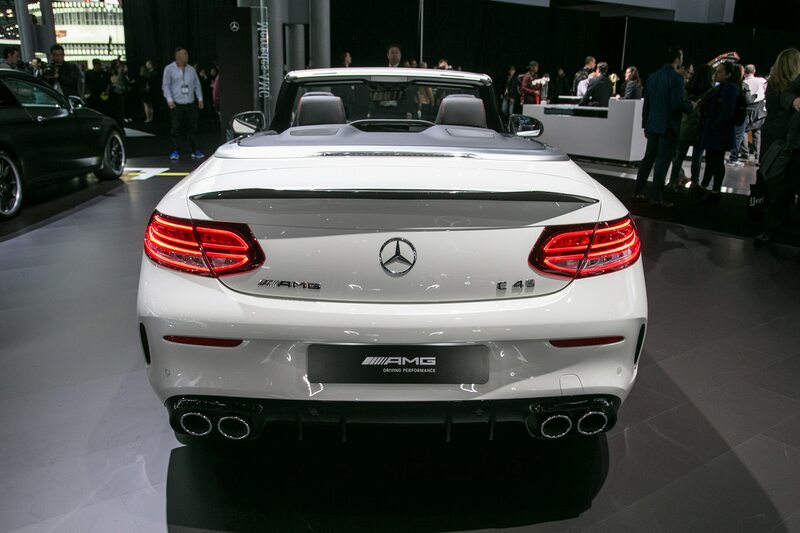 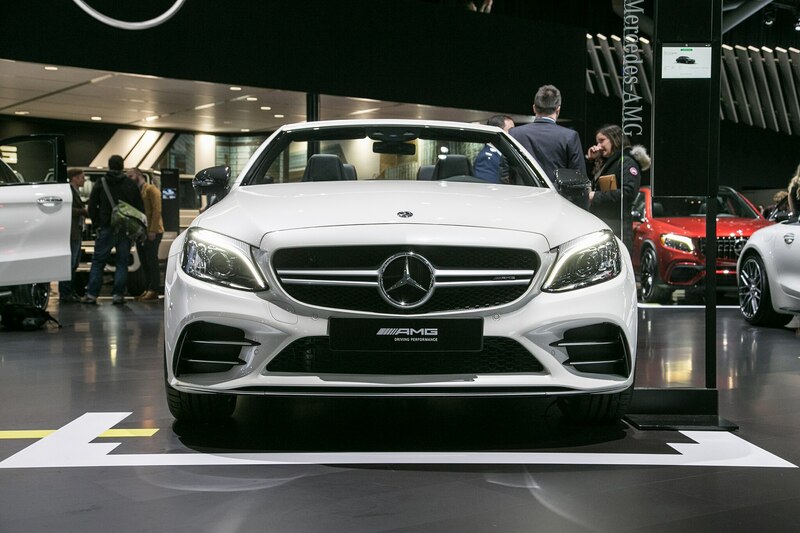 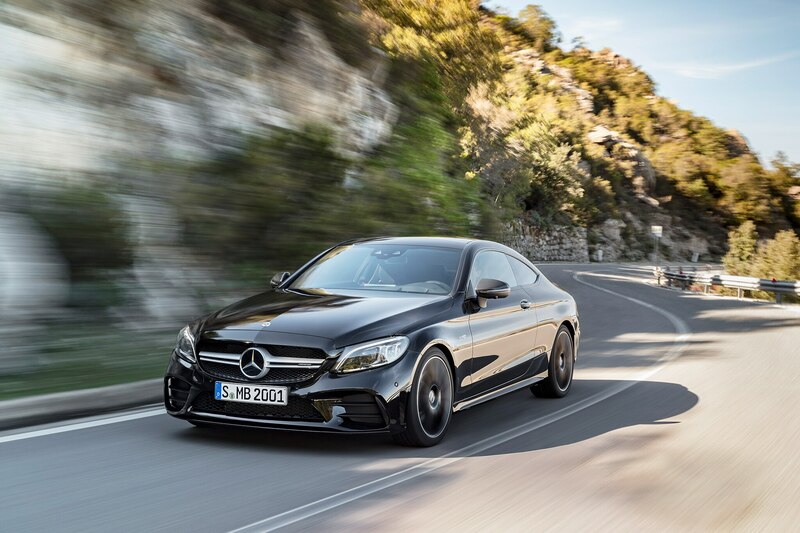 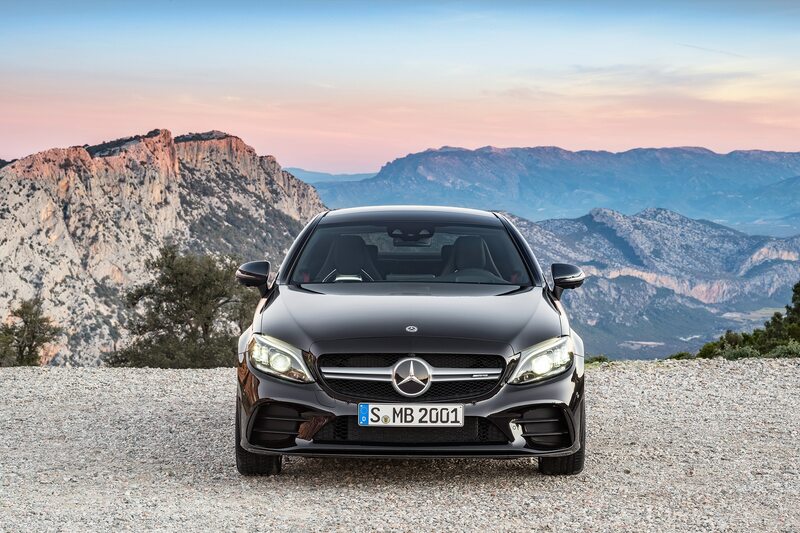 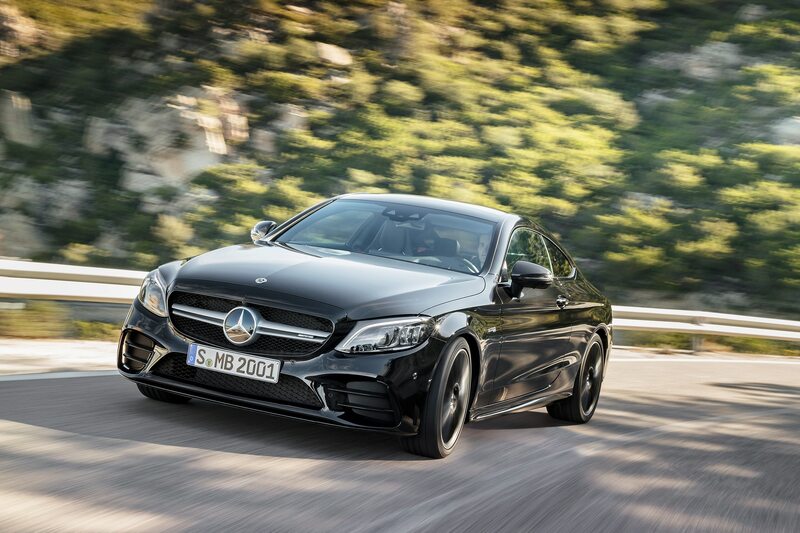 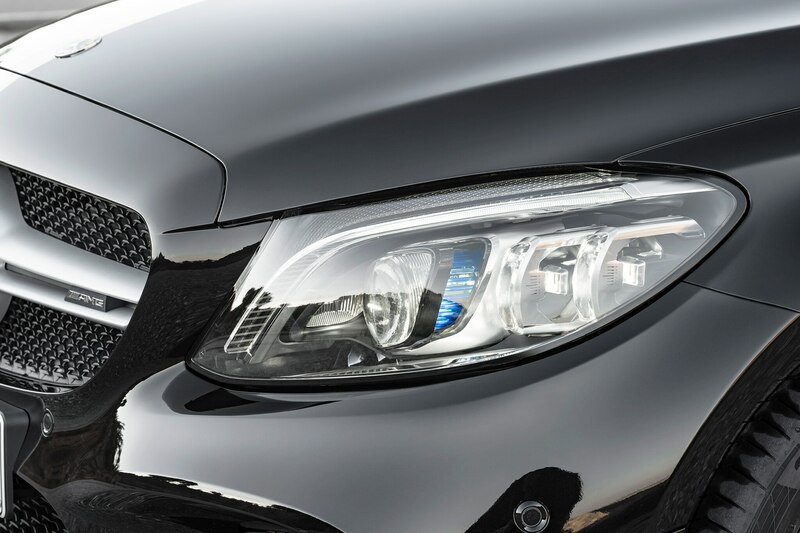 Up front, both models sport an AMG grille with twin louvers in matte Iridium Silver and a sculpted front bumper. 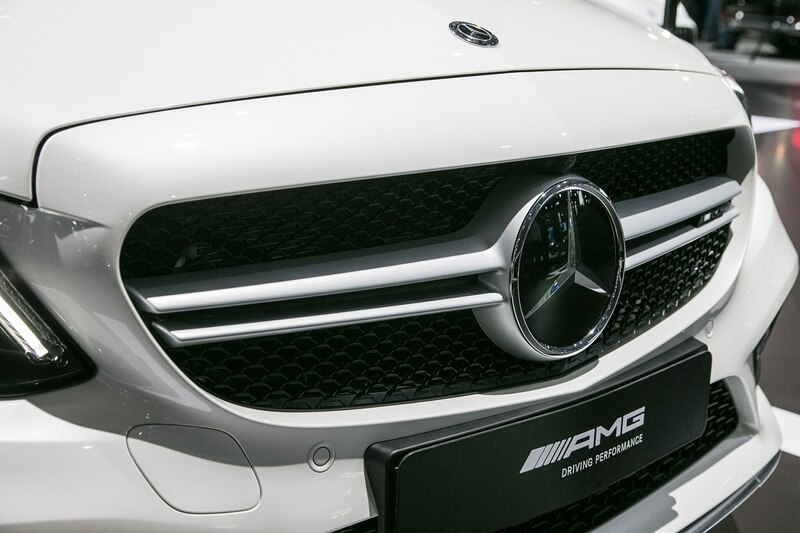 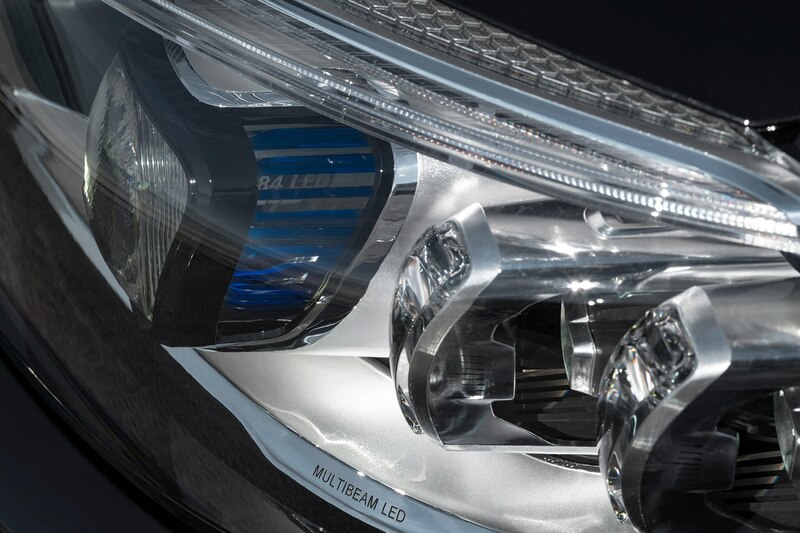 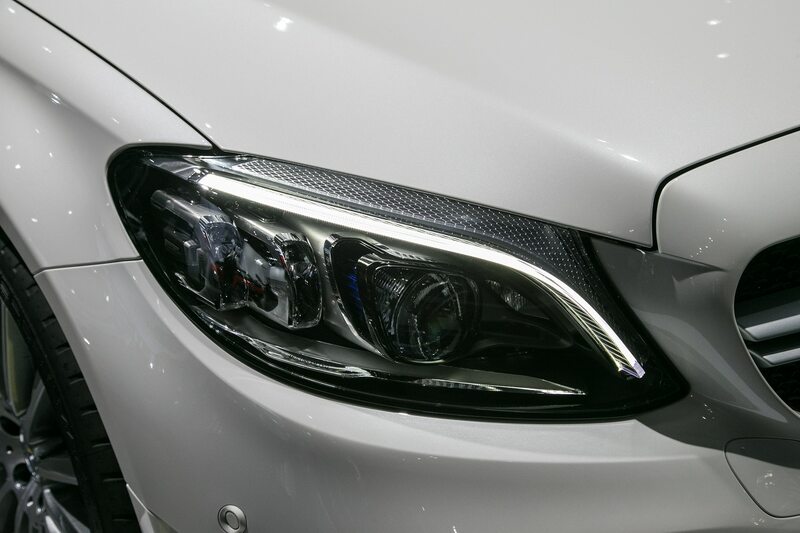 Mercedes says the cross fins and trim on the front splitter are finished in silver chrome. 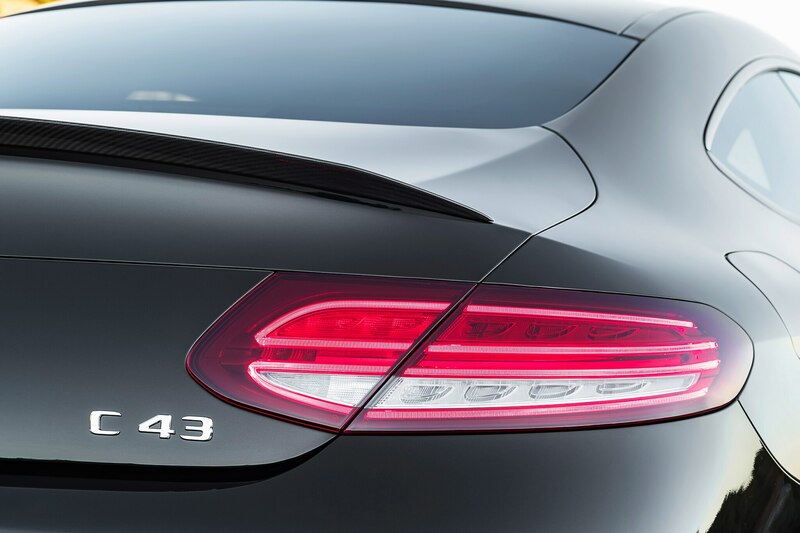 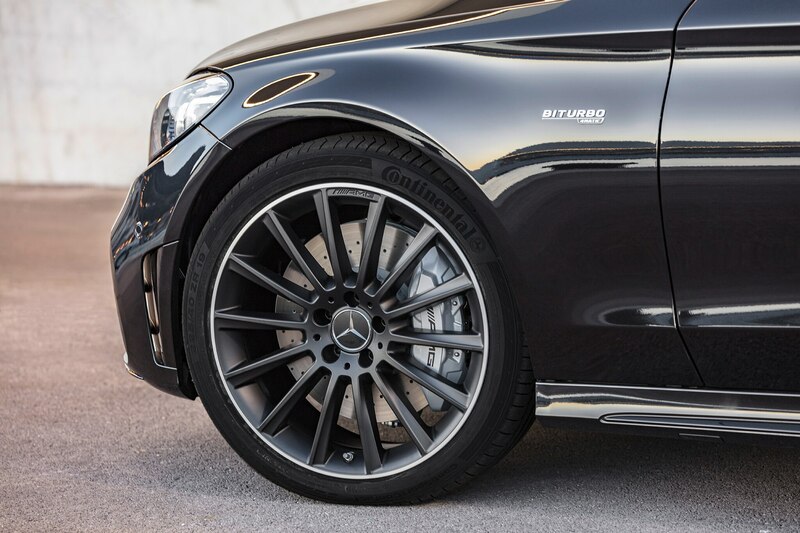 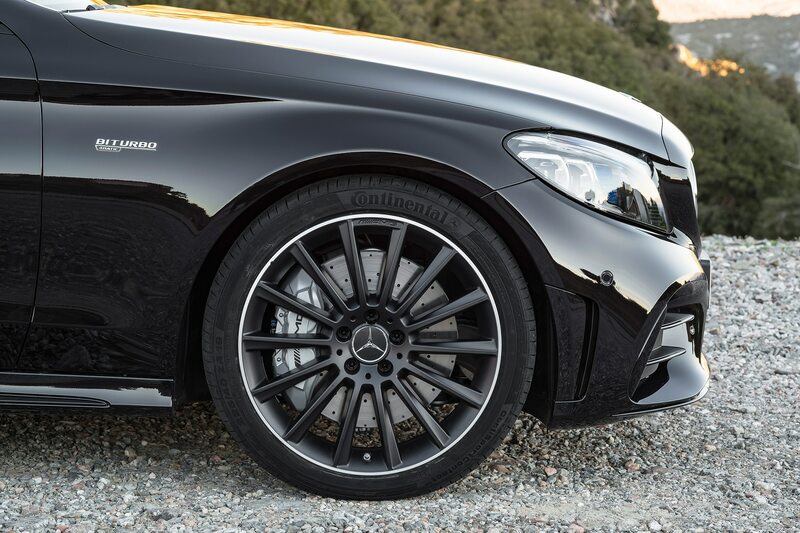 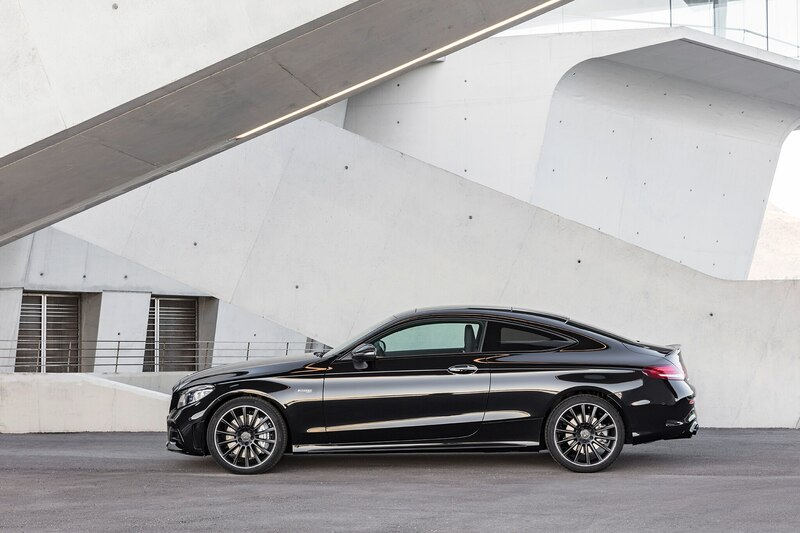 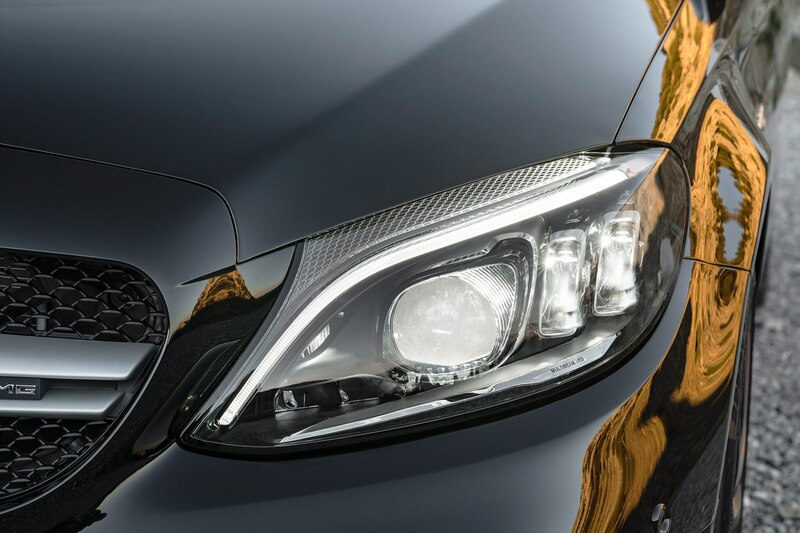 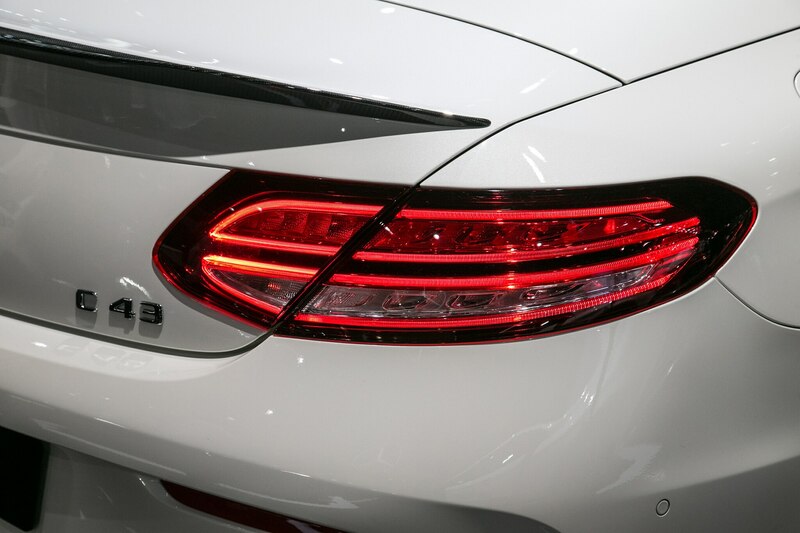 Side skirts and AMG light-alloy wheels help highlight the sportier side profiles. 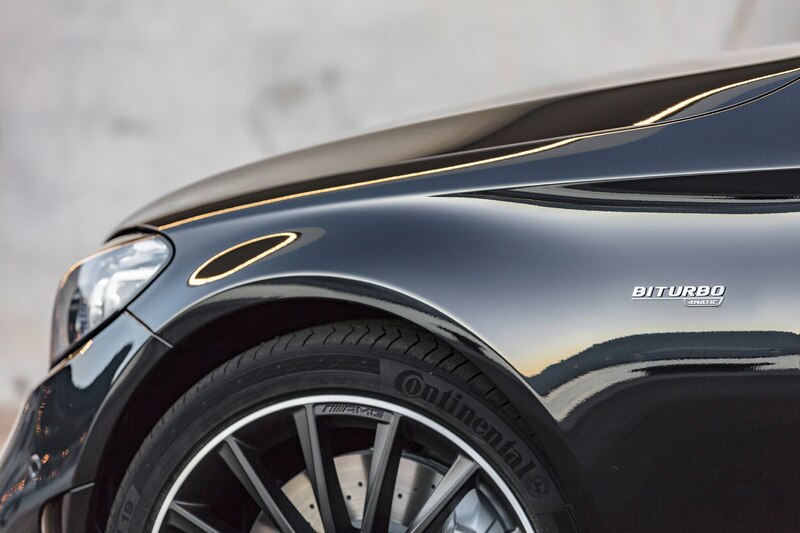 Around back gets a diffuser, matching spoiler lip, and round twin tailpipe trim in high-gloss chrome. 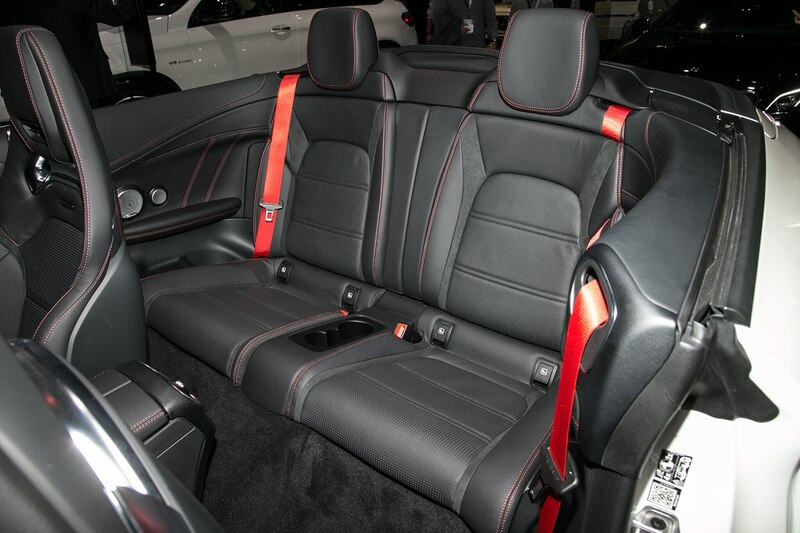 Inside receives a standard mix of Dinamica microfiber upholstery in black with red topstitching. 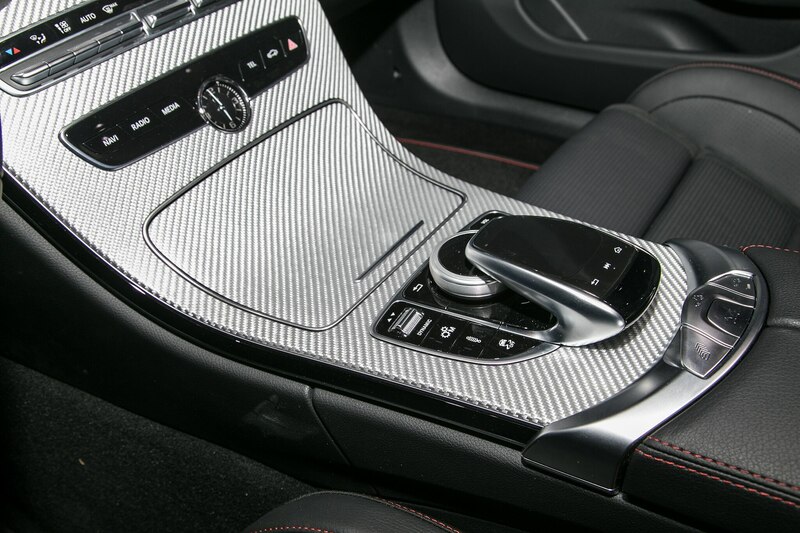 Aluminum sports pedals with black studs, trim bits in Natural Grain Black Ash Wood and aluminum, black roof liner, and red seat belts are also included. 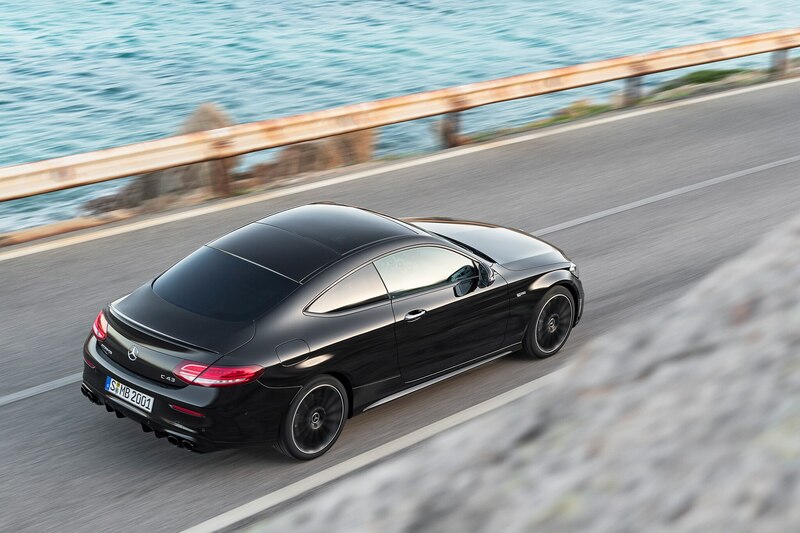 Cabriolet models feature standard Airscarf neck-level heating which comes in handy when the temperatures drop. 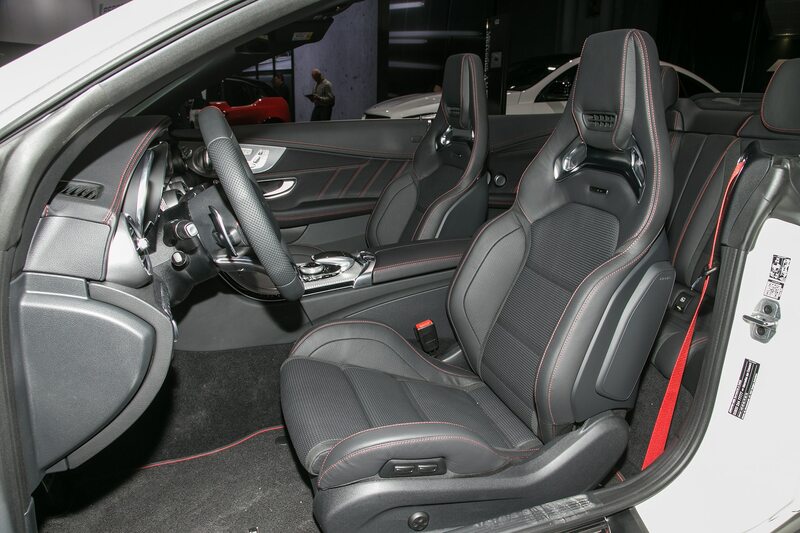 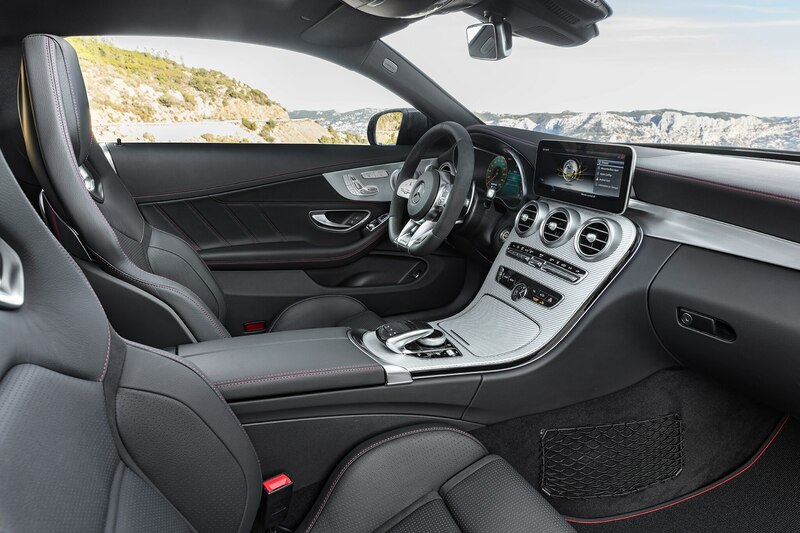 The coupe and convertible also receive a sporty, flat-bottomed AMG steering wheel in Nappa leather as standard. 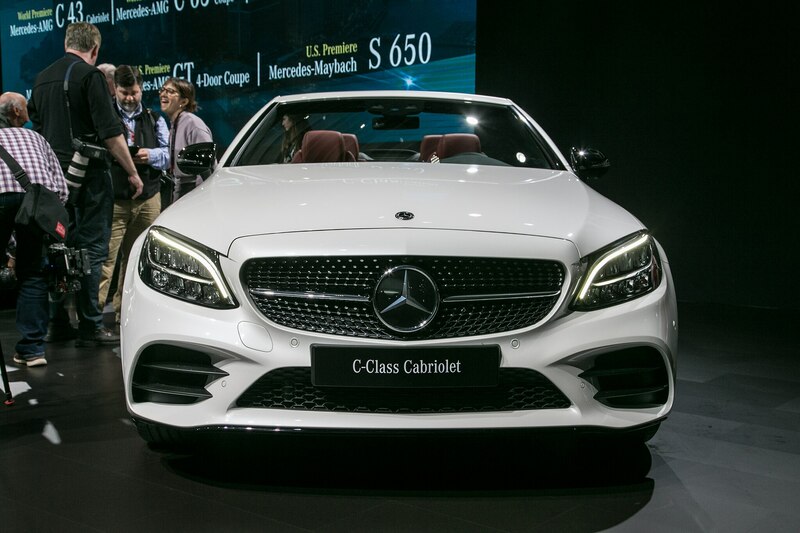 It features Touch Control Buttons to control the functions of the instrument cluster and the multimedia system with its 12.3-inch screen. 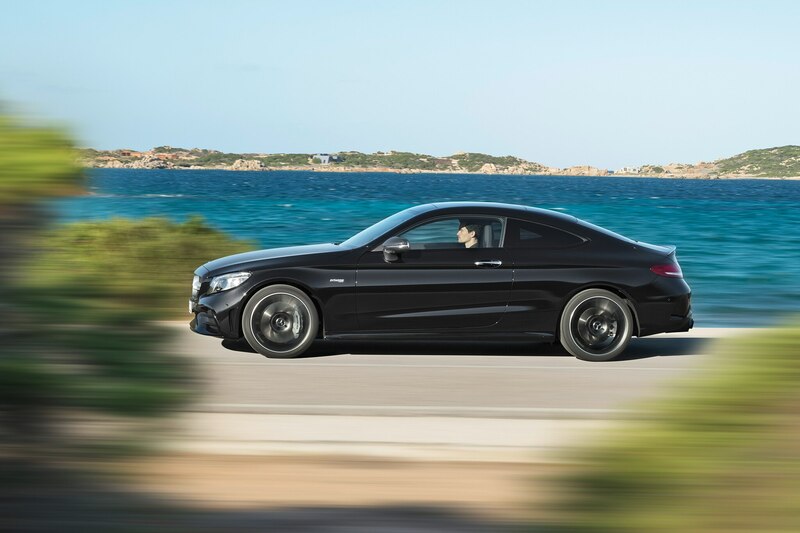 There are five driving modes for both models that include Eco, Comfort, Sport, Sport+, and Individual. 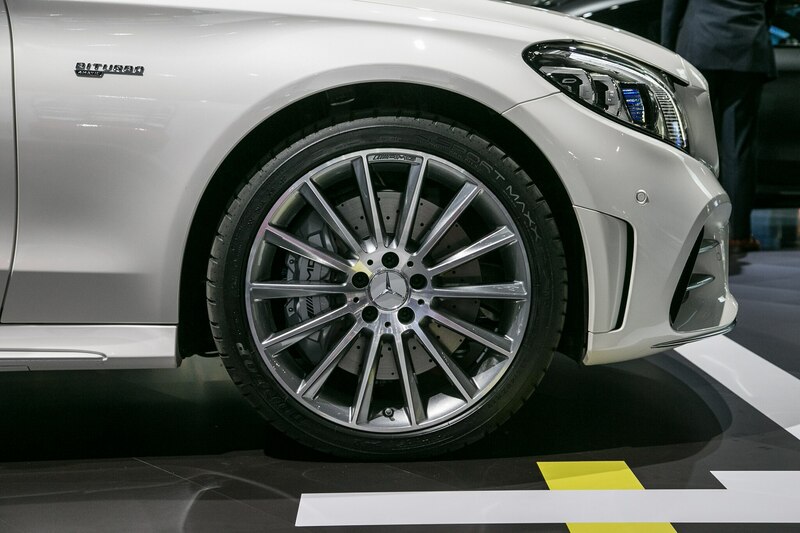 Adaptive adjustable damping is standard and adjusts the damping at each wheel says AMG. 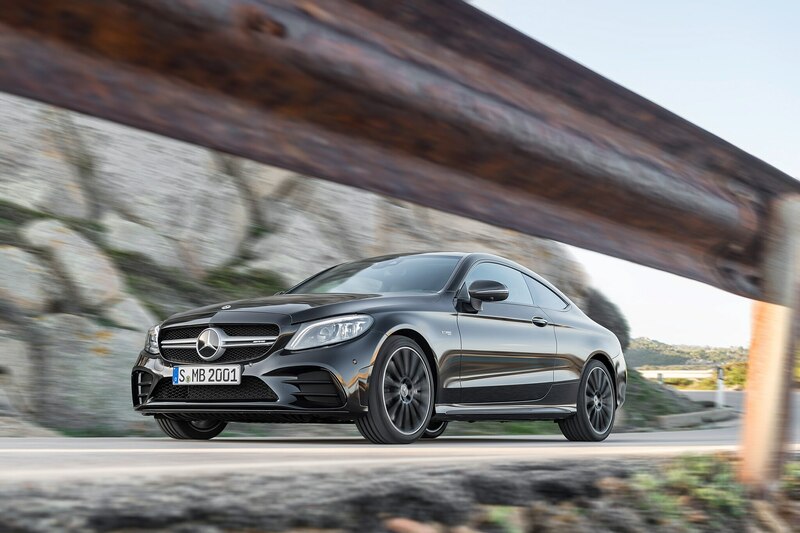 The AMG C43 Coupe and Cabriolet are expected to arrive at dealerships by the end of the year and pricing should be announced closer to that date.